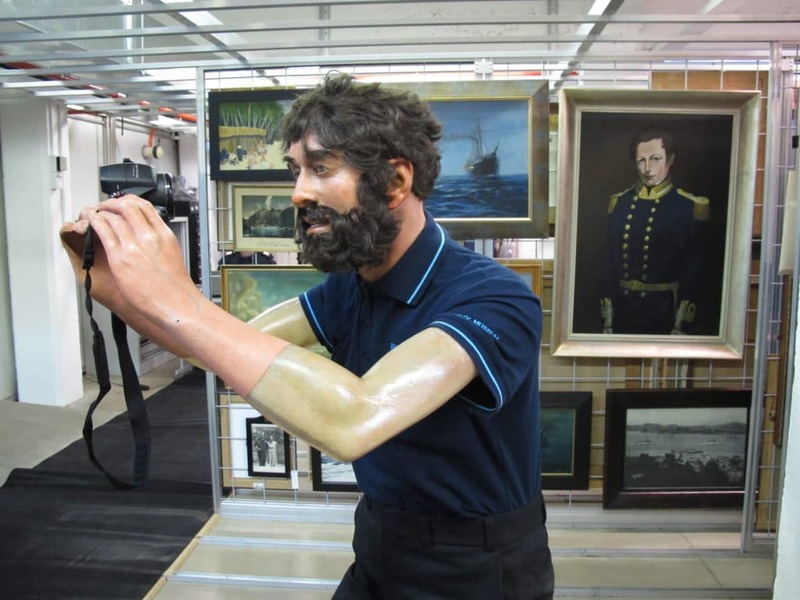 Whilst completing a postgraduate qualification in Museum Studies my advisor suggested I get in touch with the Navy Museum to get some hands on experience. 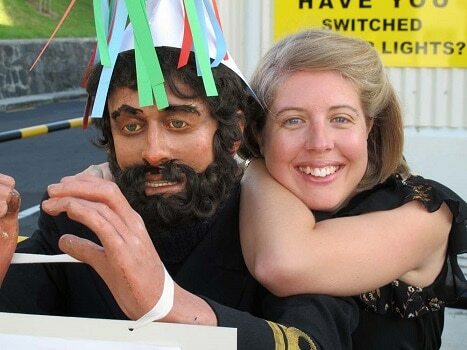 I started as a volunteer, before moving into a maternity leave role and then after time away working at the Maritime Museum, I secured my current role in 2014. The Navy Museum has given me a great opportunity to work as part of a welcoming and supportive collections team and put my studies into practice. The huge variety of work, which I wouldn’t get the opportunity to be involved in, if I worked at a larger institution. One day I’ll be cataloguing acquisitions, and then the next day I might be packaging artefacts for storage, or taking temperature readings in the Museum. Transporting model ships and hanging paintings as they are both really challenging jobs in different ways! What’s the most memorable thing you have done since being at the Museum? Getting the opportunity to be an international artefact courier. I accompanied the piupiu, gifted to the captain of HMS New Zealand in 1913, back to New Zealand following a four month loan to the Royal Navy Museum in Portsmouth. The piupiu had been on display in Portsmouth as part of the museum’s Battle of Jutland exhibition. Name the funniest moment since you joined the Museum. Many! Hiding Vernon our collections store mannequin in unexpected places, is guaranteed to generate hilarious responses from unsuspecting new staff members, as they tour the collections store for the first time. How do you enjoy spending your time outside work? Collecting vintage clothes and teacups. I also make my own clothes and particularly enjoy recreating vintage fashions. What are you most looking forward to doing next summer? Ticking off another great walk on the list and perhaps cycling the Otago Rail Trail.